My heart is hurting! I have cut Frances' hair for the past three years in Bettendorf,Iowa. She was the sweetest and nicest lady I have ever come across. She will be deeply missed. I am thinking of the family In this time, expecially Jeri and Jeff. Our thoughts and prayers are with the family. 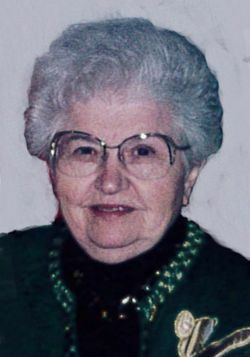 Aunt Francie was always a gentle soul with a great smile and laugh I can still hear today. Her bee-hive hair always amazed me and my sister Steph. My dad Eddie and mom Cathy always enjoyed visiting with her when he was alive. She will be extremely missed but always in our hearts. God Bless you all. Chad, Vanessa, and girls 3+.